A prong set delicate labradorite stone sits on a six-sided brass crest, which is flanked by dainty brass beads. 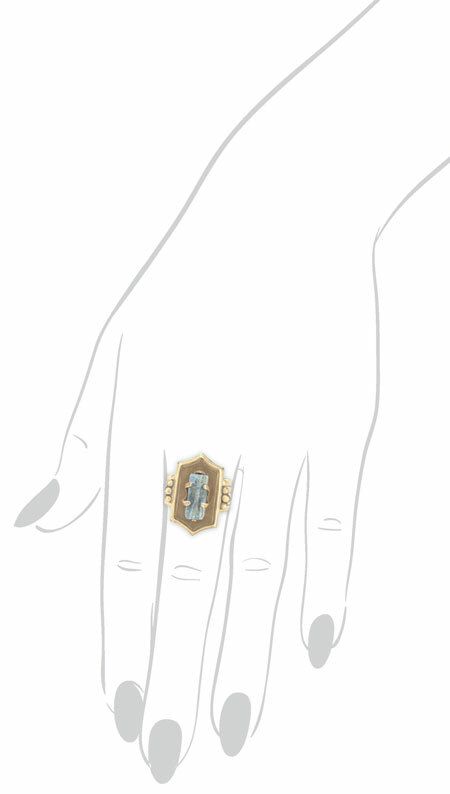 Lightweight and dainty, this vintage-inspired ring has an adjustable brass band that can fit most ring sizes. Also available with a turquoise gemstone.